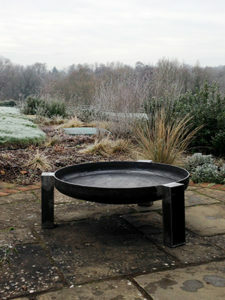 This Vulcan fire pit looks at home in its new home in the Surrey Hills. Perfect for these winter nights! 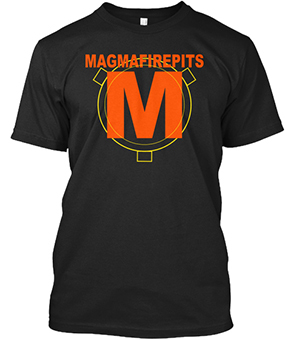 Now selling through Tspring, get your own magmafirepits T or Hoodie. Vulcan fire pit for France. 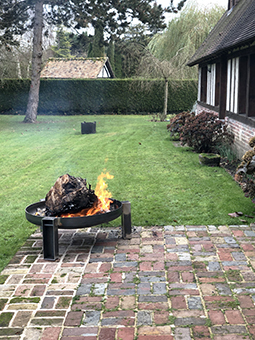 A customer contacted us from Paris and ordered Vulcan for their country home in Normandy. Sucessfully delivered in time for christmass!. 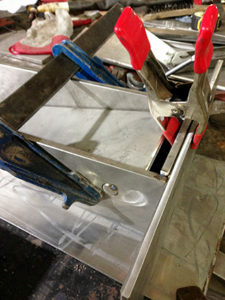 Here are photos of Vulcan legs being fabricated. 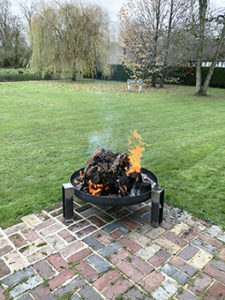 Back making fire pit legs after a break. These photographs of fire pit legs are kind of sculptural! The raw finish of stainless steel is the preferred finish for pits. Let us know your preferred finish. 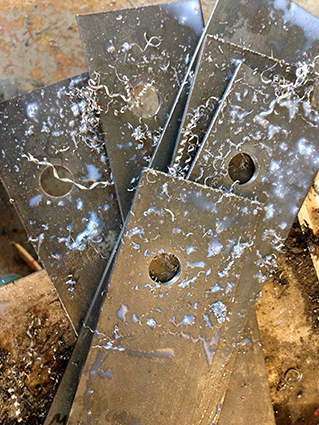 The image of the holes freshly cut with the magnetic drill make such clean cuts. Available as prints on archival photographic paper! Seriously look up 3dpics on Etsy to see a huge selection of industrial inspired photographs. 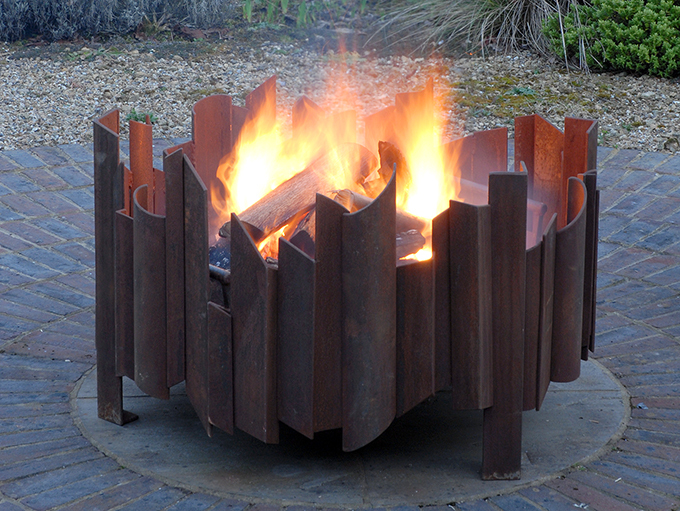 9 of the best fire pits. Gardens Illustrated featured Magma as a statement piece. Showing the first made on a purpose built patio. Incidentally magma replaced another companies pit! Perfect for November the 5th!